A new generation of athletes and sports fans are learning that courage is contagious. In recent weeks, everyone from Beltway pundits to the online bigot brigade have tried to turn Colin Kaepernick into a caricature. He’s been reduced to his afro, his socks, or a T-shirt he wore depicting Malcolm X and Fidel Castro. By turning him into a joke, his opposition hopes they won’t have to reckon with the substance of his message or the fact that the protests are spreading. There’s a lot of racism disguised as patriotism in this country and people don’t like to address that and they don’t like to address what the root of this protest is. You have players across this country, not only in the NFL but soccer and NBA and high school players, they don’t like to address this issue that people of color are oppressed and treated unjustly. I don’t know why that is or what they’re scared of, but it needs to be addressed. “to me, if something like that were to happen, you’ve proved my point and it will be loud and clear for everyone why it happened, and that would move this movement forward at a greater speed than what it is even now. He also mentioned the ways that white athletes, like Patriots defensive end Chris Long, when they have spoken with respect and support for the player’s protesting, are largely ignored. Lastly, Kaepernick recognized that this protest is not going away. Colin Kaepernick clearly recognizes that this is no longer “his” protest. It’s spreading. 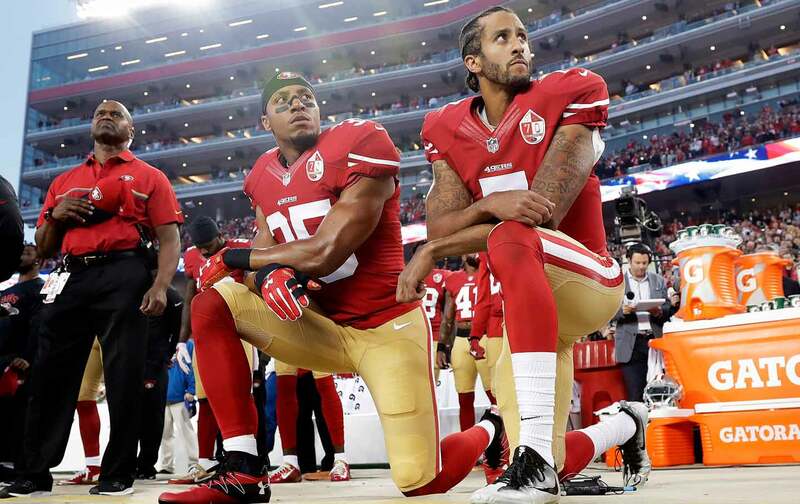 A new generation of athletes and sports fans are learning a lesson that social movements have taught for thousands of years: courage is contagious.